The system is intended for primary and periodical calibration of electrodynamic shakers (also referred to as vibration exciters) and control of their parameters compliance with the applicable technical requirements. 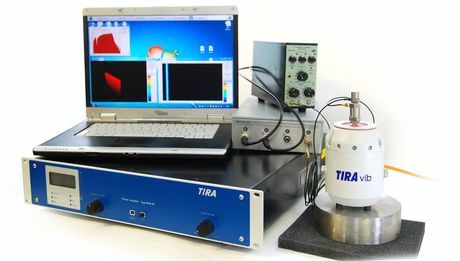 The calibration procedure implies performance of a wide range of tests aimed at evaluation of frequency range and resonance frequencies of the vibration exciters. The main purpose of the vibration exciter calibration is to ensure various test conditions reproduction within the specified tolerance limit and, thus, to confirm the operational state of the shaker system. The shaker calibration system is suitable both for primary and the subsequent calibrations of the vibration exciters. Evaluation of vibration irregularity ratio. Some stages of the calibration procedure require the use of the shaker controller together with the task-specific software package (e.g., Shaker controller ZET 017-U), to be used in addition to the shaker calibration system components.